Mark created the predecessor firm of DS Legal in 1994, breaking away from the constraints of general high street practice with the desire to deliver a specialist, niche family law service. With over twenty years of specialist expertise, Mark advises on a whole range of divorce and financial matters, co-habitation cases, children matters and he provides invaluable assistance in domestic abuse cases. 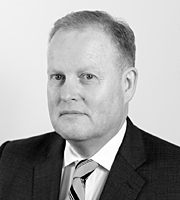 Mark is a long-standing member of the Law Society’s Family Law Panel and he is also a Resolution Accredited specialist. Mark has a strong personal following and now finds himself regularly acting for second generation clients. He is renowned for his constructive and ‘no-nonsense’ approach to family cases and will always look for a practical solution.